I seriously tried to post something other than an Asian dish today, but no such luck. 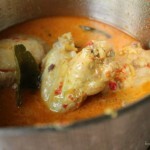 So here is a Malay recipe of chicken cooked in coconut milk with bird’s eye chillies. 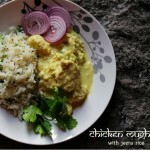 Really delicious and aromatic from the use of lemongrass, tumeric and kaffir lime leaves. Seems like I am on a roll here with the Asian food favourites, eh? 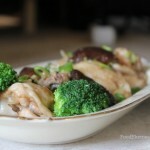 Here is another iconic Chinese restaurant staple that you can now make at home at your leisure. 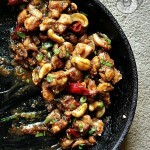 This dish is both spicy, slightly salty and sweet all at once, with some added crunch factor from the use of cashews. If you like chillies, then this dish is for you. It’s all gone downhill so suddenly with regard to the weather, so today I got inspired and made a hearty stew to cheer me up from within. 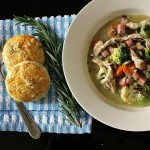 Yummy boneless chicken, cubes of ham, a medley of vegetables … and all served with a side of warm herby savoury scones. 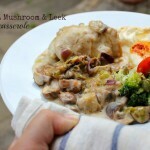 Comfort food at its best! Healthy cooking for me today, in the form of this classic homey dish consisting of chicken wings, marinated in ginger and garlic, then steamed with some plump mushrooms and broccoli. Easy Chinese-style home cooking here so it’s incredibly simple and easy to put together. If you have been to dim sum restaurants then you must be familiar with this staple dish. 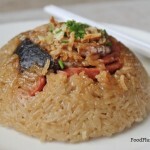 Sticky glutinous rice is steamed with chicken, Shiitake mushrooms, sweet Chinese sausages and dried shrimp along with a selection of sauces to create this wonderfully aromatic and satisfying brunch item. 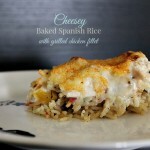 This is the first time I am attempting this for myself at home, so I am borrowing the recipe from someone else. 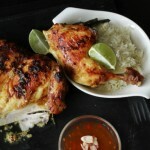 It’s February and time for another round of cooking challenges set by the good people of Taste.com.au. This month though they are shaking things up a bit by introducing a new format. 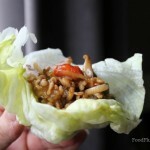 I am starting with this classic Chinese appetizer of mince chicken wrapped in lettuce leaves ~ the San Choy Bau ~ a little personal nod to the recent Chinese New Year celebrations.